Move over, cupcakes, doughnuts, frozen yoghurt and all sugary food fads that once drew snaking queues. There’s a new player on the confectionery scene, and it’s French. Parisian-inspired dessert shops and renowned French patisseries have set up shop in recent months. With repertoires ranging from traditional sweets such as Crêpe Suzette (a crêpe doused in a liqueur-infused sauce) to madeleines and financiers, these confectioners look set to inject some Gallic flavour into the local dessert vernacular. “French food showcases a diversity of flavours, textures and complex cooking techniques, which sets it apart from other cuisines,” says Aditya Talwar, director of Re Global Hospitality. His company is the local franchise partner of Parisian tea salon Angelina, which recently launched its first Southeast Asia outlet at the newly opened Capitol Galleria, and specialises in desserts and hot chocolate. “The major tearooms in Singapore have their own speciality and niche. Some are known for their macarons, and others for their teas. Our focus is our rich heritage and collection of quality signature pastries and hot chocolate,” adds Talwar. Even non-French confectioners have jumped on the bandwagon. Japanese patisserie Henri Charpentier recently opened its first overseas outpost at Dempsey Road — the establishment hails from Ashiya City in Hyogo Prefecture and serves French offerings such as financiers and millefeuille (a puff pastry filled with cream). Closer to home, cake shop Mad About Sucre produces delicacies inspired by French culture, using ingredients imported from France. “French pastries tend to be light in texture, which allows their flavours to really come through,” says co-owner Lena Chan. Clearly, local diners are in for a sweet treat with these scrumptious French desserts. With its stylish black-and-white theme and quirky decorations such as faux cakes dangling from the ceiling and an Eiffel Tower motif emblazoned on a wall, this patisserie looks every inch the quintessential chic Parisian café. Add in the fact that its dainty confections are pegged with exotic-sounding names such as Passionne and Jardin de Massialot and you could well fool yourself into thinking you are in the City of Lights. So it may come as a surprise that the establishment, which opened in February, is a home-grown business. Its cake couturier and co-owner Lena Chan is a master at crafting French-inspired pastries: Passionne is a scrumptious passion fruit-infused cheesecake served atop musky cacao nibs for flavour contrast, while Jardin de Massialot (named after a 17th-century chef) is a decadent crème brûlée-like dessert that comes with liquor-marinated citrus fruits. Chan, who has trained at the famed Le Cordon Bleu culinary school in Paris, bakes everything from scratch using organic unbleached flour and raw sugar. Most of the ingredients used are imported from France and other parts of Europe. “I learnt pastry [making] in Paris, so I didn’t see a point in coming back here just to do cupcakes and chiffon cakes. I wanted to apply what I had learnt, using good quality ingredients,” she says. 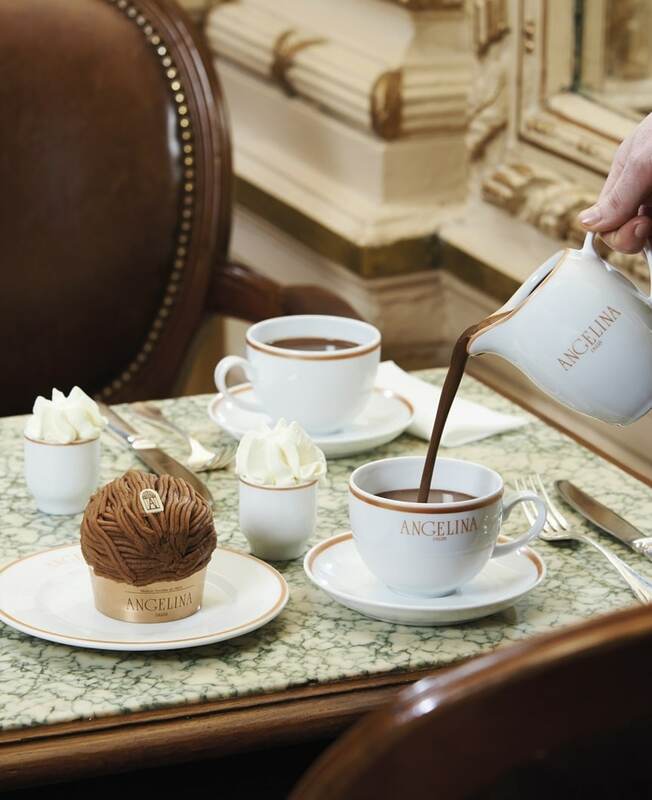 Other offerings in the café’s repertoire include Coco Citron, a delicately-flavoured lemon and coconut tart, and San Domingue, a chocolate dome containing rich chocolate mousse and banana vanilla cream, and served with a rum-filled truffle. The store also does bespoke creations bedecked with sugar flowers. With counters stacked with biscuits, vivid-hued lollipops, chocolates and assorted snacks — over 170 types in total — this confectionery store will have you feel like a five-year-old in a candy store. Adding to its charm is the food packaging of vintage tin boxes emblazoned with colourful motifs and the shop’s quaint old-school atmosphere. Staying true to its heritage, the brand has a policy of making everything in-house at its four factories in France. Its products range from calissons (almond-paste candies) and navettes (a type of shortbread pastry) to crumbly mantecaos, which are cookies that have their origins in North Africa and Spain. The brand has also put a spin on the classic madeleine by generously filling the fluffy sponge cake with chocolate, caramel and fruit pastes for the ultimate indulgent treat. For those who prefer savoury snacks, the store offers crisp, moreish navettes flavoured with Provence herbs, cumin and black olives. With its cream-coloured walls and opulent chandeliers inspired by the Belle Époque era, this newly opened tearoom at the revamped Capitol Galleria is the very picture of Parisian sophistication. Even some of its furniture are imported from France, where the brand was founded in 1903 and grew into a household name with a star-studded clientele that includes Coco Chanel and novelist Marcel Proust. The menu at its first local outpost is similar to that of its flagship outlet in Rue de Rivoli, Paris, featuring house specials such as L’Africain (a hot chocolate made from a blend of African cocoa beans). Talwar’s company runs retail and hospitality operations in India and the UAE; Angelina is its first restaurant venture here. Among the highlights on the menu is Le Mont-Blanc, a dome-shaped pastry containing chestnut vermicelli puree, whipped cream and a meringue base. The confection also comes in a seasonal praline variation. Other equally tempting offerings include Paris-New York (a choux pastry filled with pecan praline cream), cheesecake and macarons. The mention of a Japanese dessert café would inevitably call to mind all things sweet and kawaii (cute). However, this isn’t the case at this patisserie at Dempsey Road, which has its roots in Japan but features a menu of French confections such as financiers and Coupe de Pêche, a combination of peach compote, custard and ice cream. The restaurant is even named after a 19th century French chef. “[French desserts carry] a variety of tastes and depth, even when simple ingredients are used,” says Goki Arita, the brand’s CEO. The firm has over 100 outlets in Japan and its Singapore restaurant is its first overseas branch. Food-wise, the establishment delivers. Its house special of Crêpe Suzette (paper-thin crepes soaked in a sauce of butter, orange juice and Grand Marnier cognac) is a scrumptious blend of tangy and boozy flavours. There is also an added element of theatre: The dish is set alight and flambéed at the table before being served. Other standouts include the Mont Blanc (a buttery financier packed with fragrant candied chestnuts and cream) and the Dome — a special concoction exclusive to the Singapore outlet — which comprises a chocolate parfait biscuit ensconced in a chocolate sphere that is later flambéed and covered with strawberry sauce. Mad About Sucre's San Domingue chocolate dessert. Sweets from La Cure Gourmande. Coupe de Peche at Henri Charpentier. The dessert display case at Henri Charpentier's first Singapore outlet.